Brown rice syrup, soy protein isolate, almonds, beet syrup, soy protein crisps (isolated soy protein, tapioca starch and salt), soy nuts, organic agave syrup, chicory fiber, natural flavors, soy lecithin. Contains soy, almonds. Manufactured in a facility that also processes tree nuts, peanut, milk and egg. Allergy Information: Contains soy, almonds. Manufactured in a facility that also manufactures milk, egg, tree nuts and peanuts. Soy protein isolate, beet syrup, almonds, tapioca syrup, soy protein crisps (soy protein isolate, tapioca starch, salt), brown rice syrup, soy nuts, chicory fiber, dried cranberries (cranberries, pineapple syrup), dried raspberries, sunflower oil, natural flavors. Soy protein isolate, beet syrup, brown rice syrup, soy protein crisps (soy protein isolate, tapioca starch salt), almonds, sunflower oil, alkalized cocoa, soy nuts, dates, chicory fiber, glycerin, natural flavors, soy lecithin. Contains soy, and almonds. Manufactured in a facility that also manufactures milk, egg, tree nuts and peanuts. Soy protein isolate, brown rice syrup, soy nuts, Energy Smart(tm) (fruit juice, natural grain dextrin), certified gluten free oats, agave syrup, almonds, Energy Blend (fructose, natural extract of chicory, dextrose), soy crisps (soy protein isolate, tapioca starch, salt), canola oil, soy lecithin, natural flavors, natural colors, salt, cinnamon. Manufactured in a plant that also processes milk, egg and peanuts. Brown Rice Syrup, Soy Protein Isolate, Soy Nuts, Almonds, Soy Crisps (Soy Protein Isolate, Tapioca Starch, Salt), Fructose, Organic Agave Syrup, Gluten Free Oats, Sunflower Oil, Glycerin, Chicory Fiber, Natural Flavors, Cinnamon, Salt, Organic Caramel Color, Soy Lecithin. Brown rice syrup, soy protein isolate, beet syrup, semi-sweet chocolate chips (sugar, chocolate, cocoa butter, soy lecithin, vanilla extract), soy crisps (soy protein isolate, tapioca starch, salt), peanuts, sunflower oil, peanut flour, natural flavors, sea salt, soy lecithin. Allergy Information: Contains Peanut, Soy. Manufactured in a facility that also manufactures tree nuts, milk, egg. 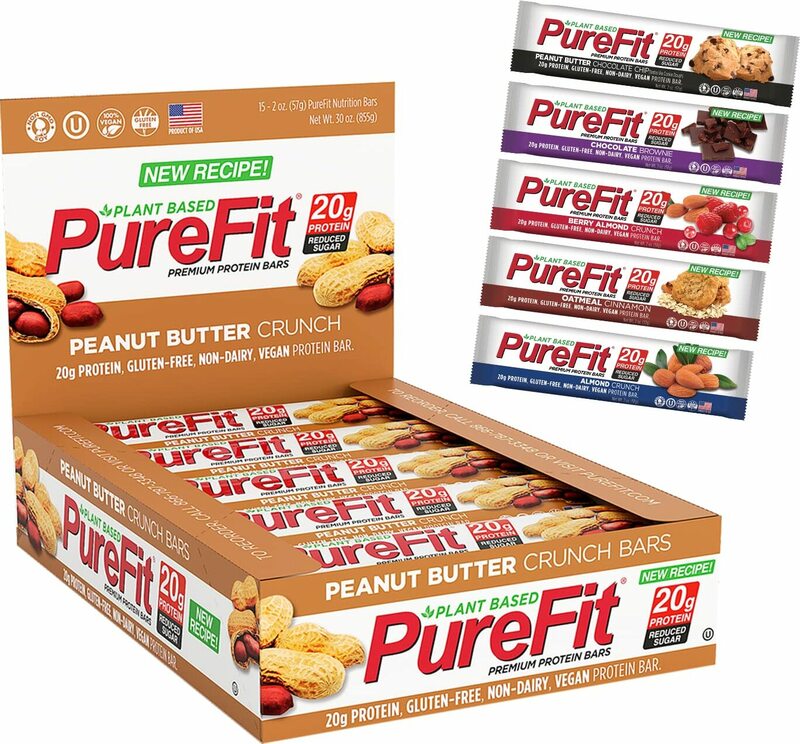 Brown rice syrup, soy protein isolate, beet syrup, peanuts, soy nuts, soy protein crisps (soy protein isolate, tapioca starch, salt) peanut flour, sunflower oil, chicory fiber, natural flavors, sea salt. 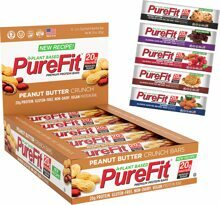 Brown rice syrup, soy protein isolate, beet syrup, peanuts, soy nuts, soy crisps (soy protein isolate, tapioca starch, salt), peanut flour, sunflower oil, chicory fiber, natural flavors, sea salt, soy lecithin. Allergy Information: Contains peanuts, soy. Manufactured in a facility that also manufactures tree nuts, milk, and egg. Great Taste Without All The Additives And Sugar!